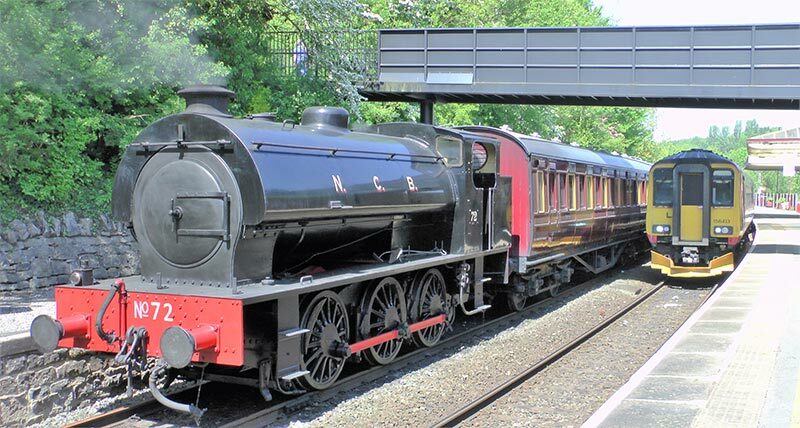 Our southern terminus, Matlock Platform 2 operates alongside the main line run by East Midland Trains, whose termination point is Matlock Platform 1. This station opened in 2011. There is a small wooden waiting room and access is via a ramped footbridge at the southern end of the station or at the side of Sainsbury’s store. Car parking for this station is approximately a 7-minute walk and is available in the Derbyshire Dales District Council Pay and Display car park adjacent to the Main Matlock Railway Station. 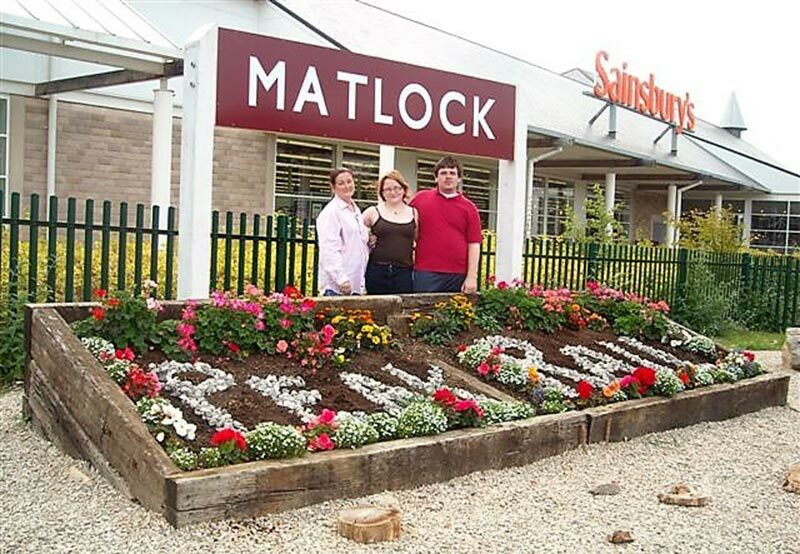 Matlock Bus Station is also conveniently situated close to the railway station. Public toilets (fee payable) are available adjacent to the Bus Station. Alongside the entrance to Platform 1 you will find Peak Rail’s gift shop/Tourist Information centre and Bill Hudson Transport Books, specialists in railway literature. When it was originally opened by the Manchester, Buxton and Midlands Junction Railway in 1849, Matlock Station was known as Matlock Bridge. The station buildings, designed by Sir Joseph Paxton who also designed the Crystal Palace in London, were opened in 1850. The adjacent station master’s house again designed by Paxton was built in 1853/4. The station is now Grade 2 listed. 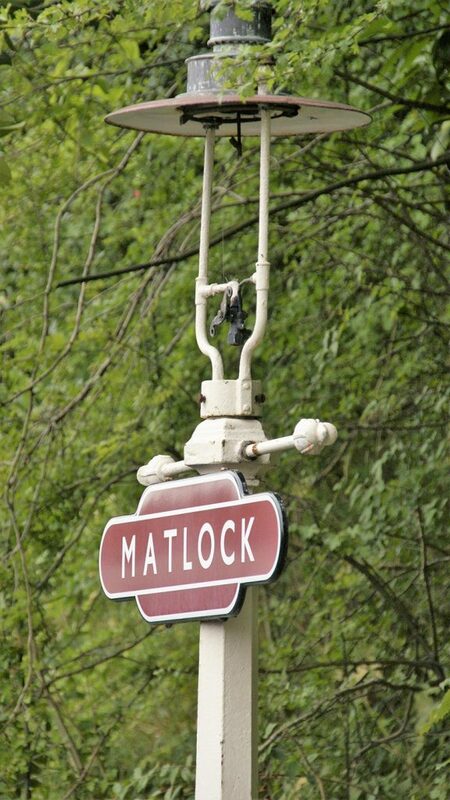 Once the Southern terminus point of all our trains, this station is only used in the event of any operational difﬁculties with obtaining access to Matlock Platform 2. This station consists of a temporary wooden platform, together with small waiting shelter, unfortunately no toilet or car parking facilities are available here. Car parking for this station is available in the Derbyshire Dales District Council Pay and Display car park adjacent to the main Matlock Railway Station. 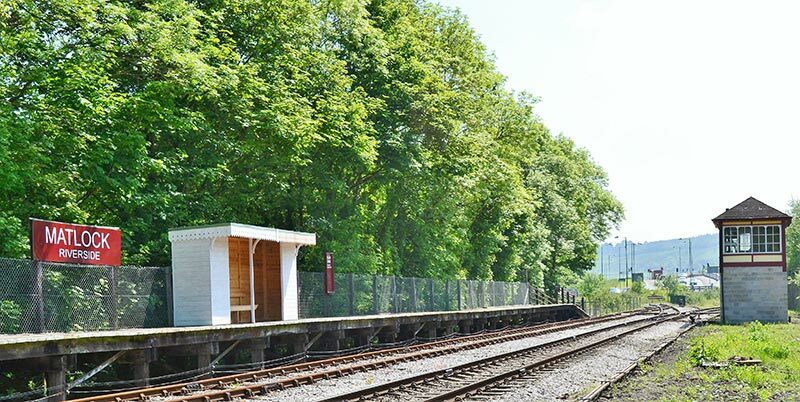 The station is located about a good 10-minute walk from the main Matlock Town Centre, access to which is via the footpath alongside the riverbank or by using the A6 by-pass road a short distance from Sainsbury’s store and near to the A6 roundabout. Should Peak Rail have to revert to using this platform in the event of any operational difficulties with obtaining access in Matlock Platform 2, then we will operate all trains to the normal timetable.